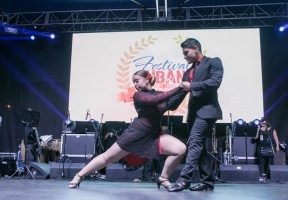 The Festival Cubano Foundation announced the full schedule for the ninth annual Festival Cubano to be held from Friday, August 10 to Sunday, August 12on the beautiful grounds of Riis Park, intersection of Fullerton Avenue and Narragansett. Hours: 11 am-10 pm. Admission starting at $15.Free admission for children 10 and under. 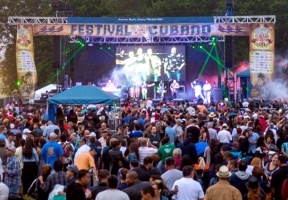 Tickets can be purchased online at TheCubanFestival.com. Festival goers will enjoy a wide variety of Cuban and Latin American dishes, arts & crafts booths, an expanded carnival area on a new location inside the park, a beer lounge and hand-rolled cigar bar, cooking demonstrations and cook-offs, a domino tournament, the popular Kids’ Zone, a health pavilion, music and dance workshops, and school supplies giveaways, among other features. New to the Festival this year is the VIP Experience: VIP Lounges with direct stage sight-lines without obstructions. The Experience will also offer complimentary food and drinks, massage chairs, 80s arcade games, pool tables, and balcony seating with a clear view overseeing the festival ground, among other perks.